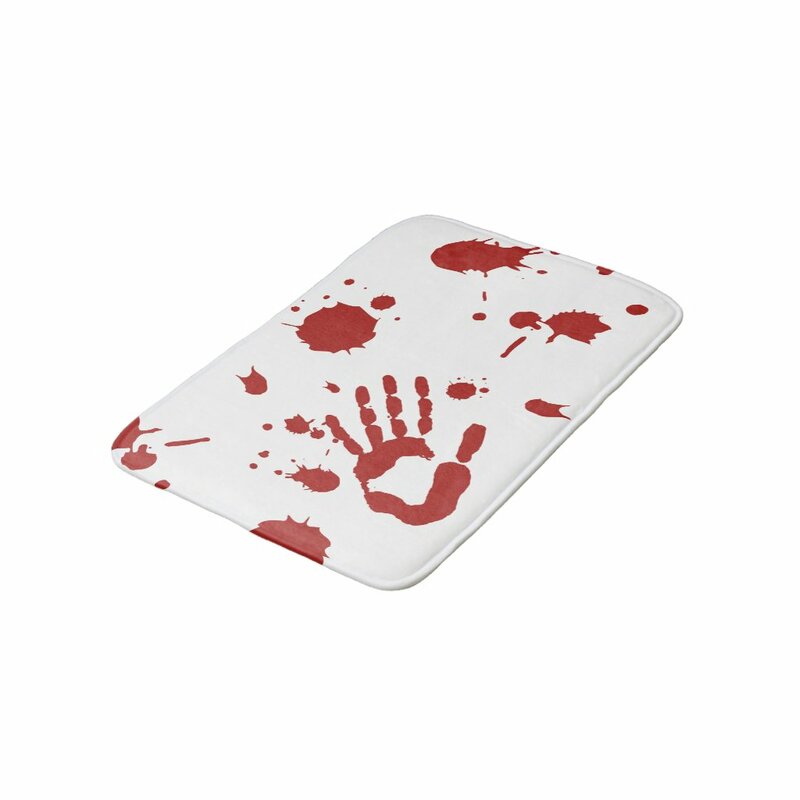 It is the simplest approach to add spooky atmosphere in bathroom by placing a blood splatter bath mat when Halloween is around the corner. 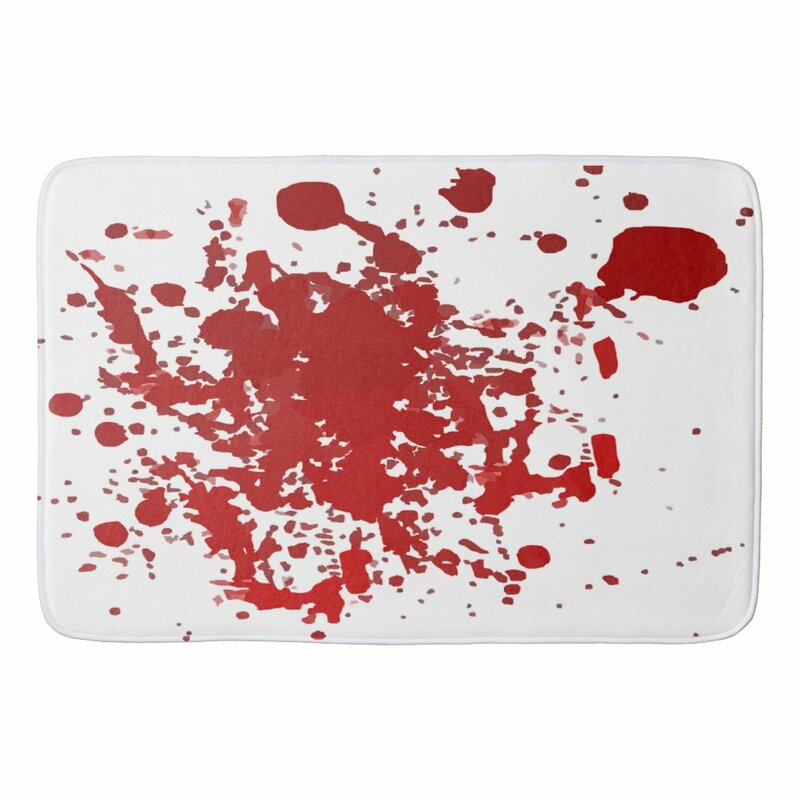 The bloodstain pattern usually leads association of vital fluid spray out from human body under pressure as a result of homicide or any other horror incident. It is one of practical Halloween decoration items. 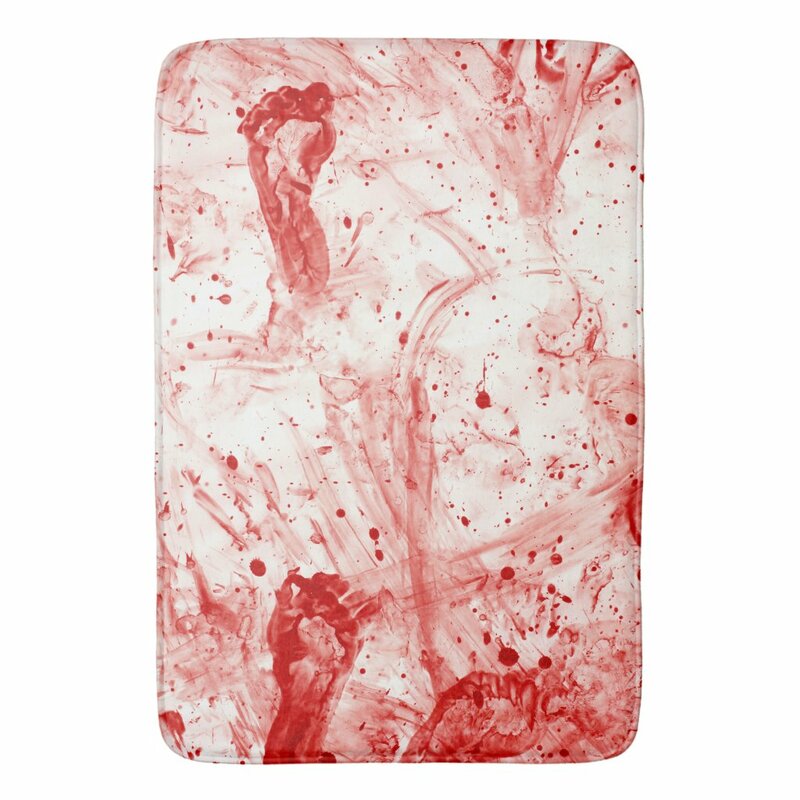 Dress up your bathroom with bloodstain pattern rug not only prevents someone slipping while getting out from bathing but also scare your guests during the ghoulishly holidays on October. 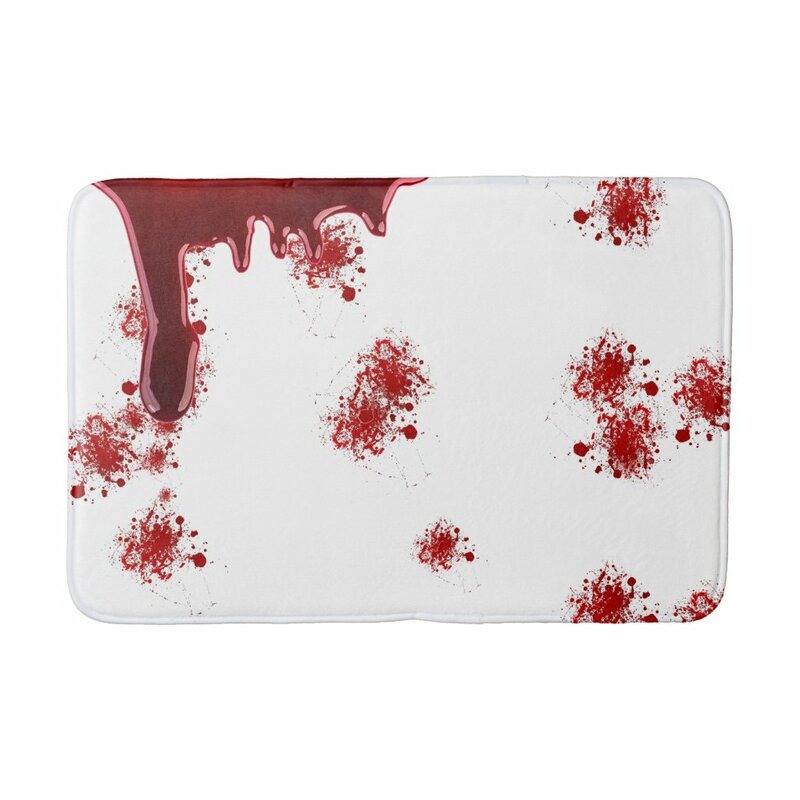 There are different bloodstain patterns. 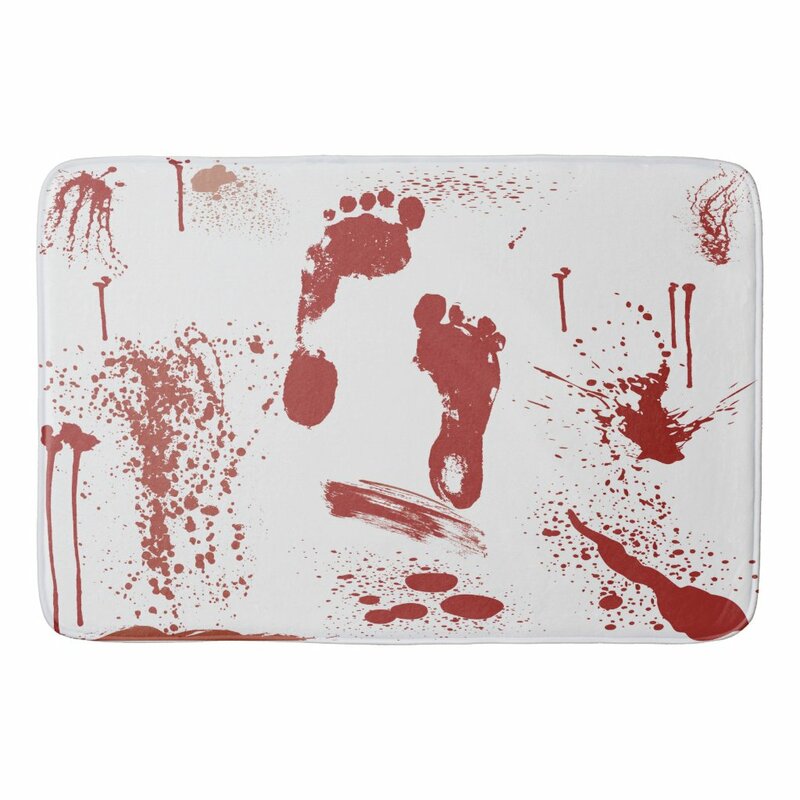 Some of them blend with bloody foot footprint or hand marks which leading to more imagination of horror incident behind the scene. 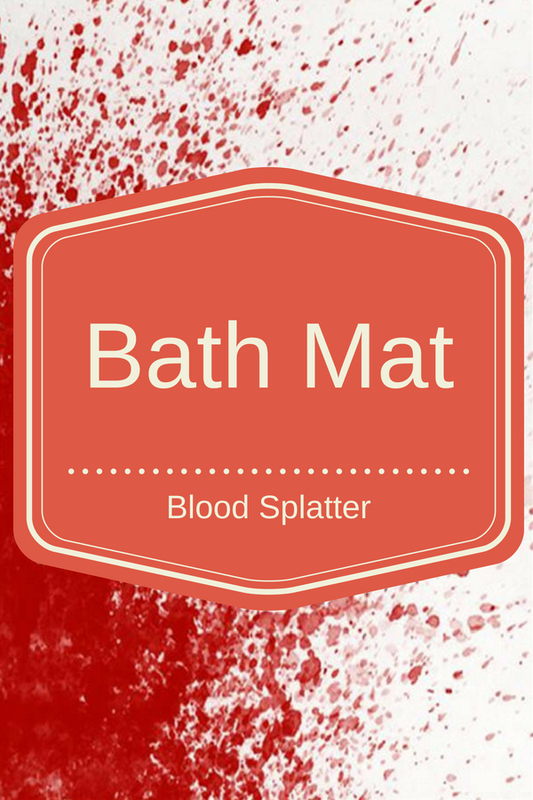 The rug features dripping red liquid with gores is ideal pick if you have bloody handprint shower curtain in your bathroom. You’ll create a creepy scene like the one in horror movie to reflect the trajectory of bleeding from curtain flows to floor.